Word went out from his family that David Bowie died this weekend. He died following a bout with cancer at age 69. Just in case you are traveling this holiday season, be sure to watch this video to get some clarity on what is ok and what is not! 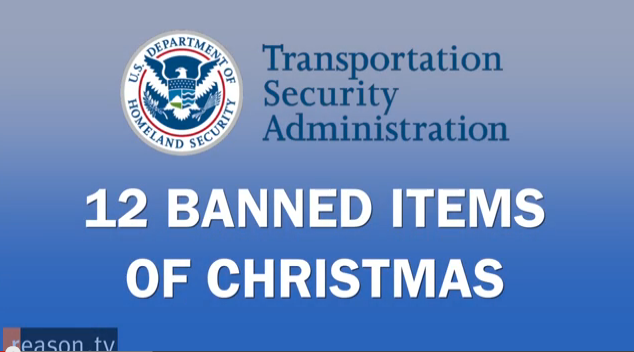 As travelers board planes this holiday, please be aware of 12 actual banned items from the Transportation Security Administration. God help me. My life is so difficult. Earlier today I bumped into a guy who had just lost his job and was living out of his car. I can TOTALLY understand what he’s going through. Actually, what I’m dealing with is even harder. See, I get a substantial raise from my employer every single year. I’ve never in my life not gotten a raise. Every year I make more than the year before. Always. In fact, not only do I make more every year but my raise is bigger every year, too. I mean, that’s obviously how it is for most people. That’s life for us blue collar folks, amiright? Anyway, check this out: I’m SUPPOSED to get a raise of 10 thousand dollars this year but my boss just told me I’m ONLY getting an extra 9,998 dollars. THEY’RE CUTTING THE INCREASE IN MY PAY BY 2 DOLLARS! CAN YOU BELIEVE THIS?! Oh but it gets worse. Much worse. Vaughnshire Farm Homeschool Moment – Cereal Connection? Homeschooling provides special moments I like to equate with the “perfect golf shot”. It only takes one moment like this to make you come back for the next round. During our dinner discussion tonight we were discussing the setup of our new solar powered device. I was explaining to the family the difference between serial connections and parallel connections when connecting the solar panels and batteries together. I asked if anyone knew what a serial connection was. doTERRA oils for healthy living and wellness and great recipes too. Summer Sensation salsa is fetured here and uses lime and cilantro essential oils. Quick and easy; tasty and healthy too!